We always remind our kids to drink their milk, but eating calcium rich foods is just as important, if not more, for women. Women are more prone to osteoporosis or thinning of the bones than men because estrogen loss at menopause can cause a decline in bone density. Osteoporosis affects millions of women, primarily postmenopausal women, making the bones weak and more likely to fracture. Adequate daily calcium is essential in maintaining bone strength and having enough Vitamin D ensures the calcium you consume will be absorbed. Calcium is the most abundant mineral in the human body and stored in our bones and teeth. Calcium and vitamin D work together as vitamin D helps your body absorb the calcium and vitamin D works with the calcium stores in your body to maintain healthy bones and teeth. Vitamin D is essential for your body to absorb calcium. That’s why health experts recommend taking calcium and vitamin D together. Choosing a calcium supplement with vitamin D or taking a vitamin D supplement with your calcium supplement provides the added benefit of helping to maximize calcium absorption. Ensuring enough of both calcium and vitamin D will deliver all the benefits from this dynamic duo, essential for more than just growing bones. Health Canada recommends that adults need 1000mg-1200mg of calcium and 600 IU’s (international units) of vitamin D daily. If you struggle with getting enough calcium rich food in your diet, print out and post this list of calcium rich food somewhere handy! If you find you just can’t consume enough calcium to meet your daily needs, there are many calcium supplelments on the market now for women. When shopping for calcium supplements consider your age, your diet as well as any health concerns you may have to choose the one with the right amount of calcium and remember, it is best to follow-up with your healthcare provider before beginning any supplementation. The calcium found in calcium supplements comes in a compound form. A compound is a substance that contains more than one ingredient. 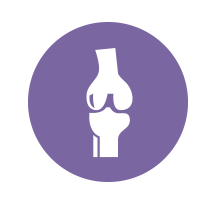 Calcium carbonate, calcium citrate and tricalcium phosphate are some of the many different calcium compounds available. The calcium part of this compound is called elemental calcium. If a tablet contains 500 mg of calcium carbonate, it contains only 200 mg of elemental calcium. Only 40% of this calcium compound is elemental calcium and the rest is from the carbonate. Most calcium supplements list the elemental calcium on the label and that is the number you use to calculate how much calcium you are truly getting from your supplement. Follow the directions on the bottle to determine if your supplement should be taken with or without food. With the exception of calcium citrate, most calcium supplements should be taken with food so that your stomach acid can help to break down the supplement and allow for maximum absorption.